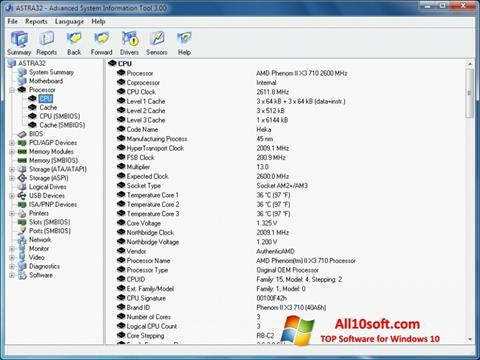 ASTRA32 for Windows 10 displays full information about the device. There is the possibility of obtaining detailed information about the motherboard, video card, processor, hard drive. The program provides data in text form in the form of a report. Users can work from the command line and find out about the audio card version, hard drive status, cache. The display shows the speed characteristics of the model. You can free download ASTRA32 official latest version for Windows 10 in English.